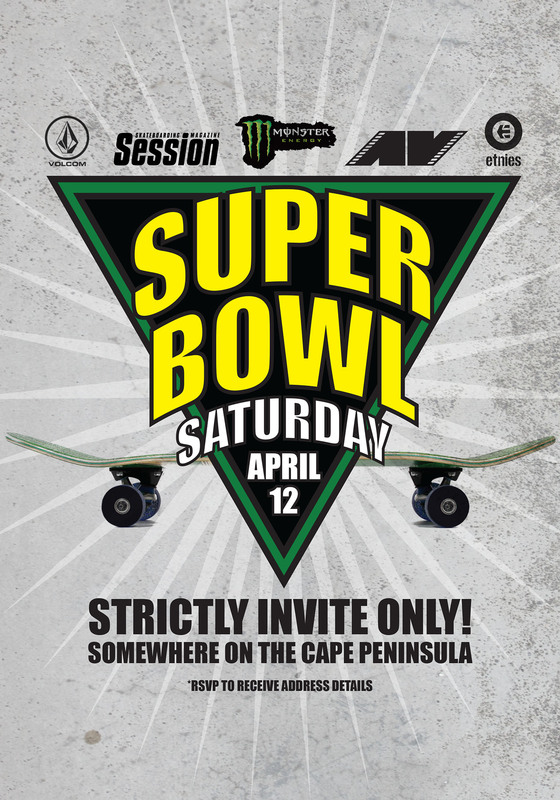 ‘Superbowl Saturday – presented by Monster Energy’ was a secret bowl event that went down just outside Cape Town this past weekend. 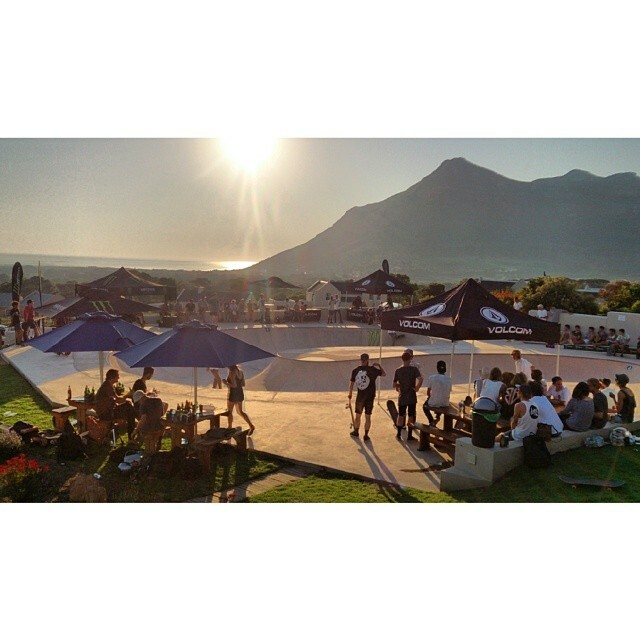 The location was an enormous front yard bowl at a private address somewhere on the Cape peninsula. The address will remain a secret as this was a special one day only opportunity given to a select group of skateboarders by the property owner. Special thanks to Volcom for putting up R5000 in prize money and giving away a stack of goods and to Etnies for giving away a pile of shoes and more. Full coverage of the day will be featured in the next issues of Session Skate Mag and AV Skateboarding Video Magazine.